Good morning, friends! I hope your weekend is off to a good start. We are having a little family time in the mountains this weekend and it is a much needed break from all the scheduled activities I find myself driving to every day. I did manage to find some time to myself while the kids were in school this week and I was all sorts of crafty! I worked on this fun Viva la Verve sketch for September - Week 2. I inked up this wonderful sentiment set, Let it Be and made it the center of my card. 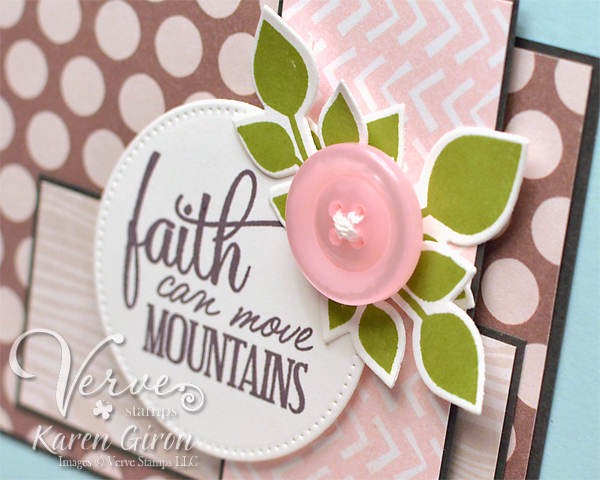 For the circle accent of the sketch, I used a pink button and the leaves from Dream Big and cut them out with the Dreamy Leaves Die Set. Be sure to stop by the Verve Stamps Forum at Splitcoaststampers and check out all the details for this week's Viva la Verve challenge. 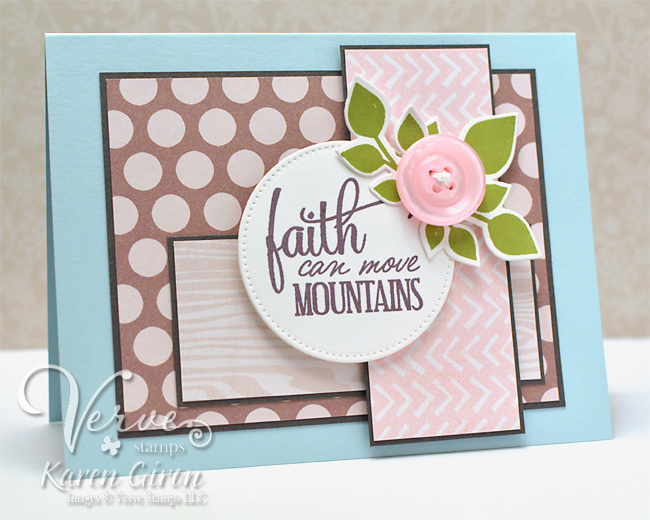 Love this card Karen, the layout is great and the colours match so well together! This is really beautifully! I just love the delicate piercing around the sentiment!